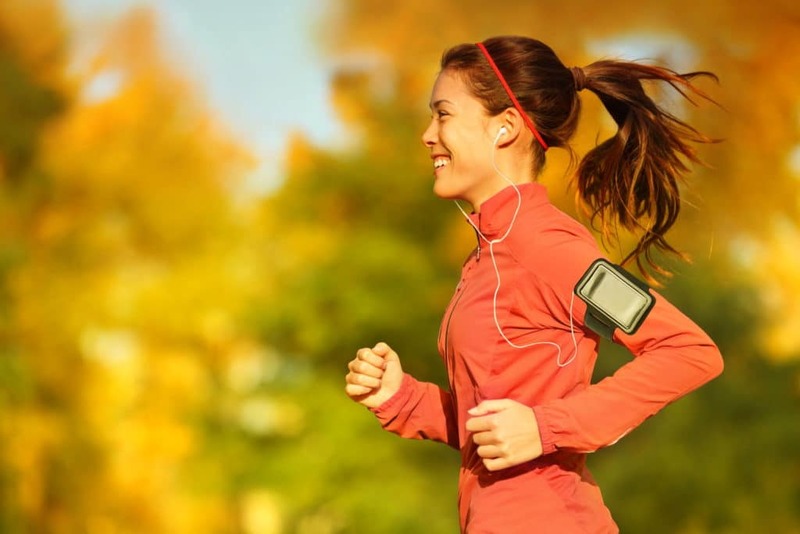 Here’s the deal: Running is one of the best activities you can do for your body. In fact, running only 5 to 10 minutes a day on average equates to lower risk of death and cardiovascular disease. And beyond the physical benefits, running allows you to clear your mind and experience a “runner’s high“. Great for your body, great for your mind, and a wonderful running community; what more could you ask for? There’s just one problem – where do you put your stuff? Running shorts are made to act as a second skin and to reduce drag as you count down the miles. Most running shirts and tank tops aren’t much better, either, and carrying a backpack is uncomfortable and can lead to some really unpleasant chafing. So what do you do when you need to carry a set of keys, your ID, and/or some fuel for a long run? A running belt can free up your hands without forcing you to carry a backpack or find a place along your route to hide your keys or your energy gels. But which one should you choose? We’ve tried out a lot of different running belts, and we’ve found the top five that we like best. Check out what we’ve found out about the best running belts on the market today. Pros: Well known brand with solid reputation, and a belt that offers security of items as well as nice reflective properties when out on the road. Cons: Some users say that the FlipBelt moves more than they would like during exercises. Bottom Line: A solid but slightly pricey choice. Pros: We like the plastic buckle and the adjustable sizing fits most users. Also, it is a good value at around the $10 mark. Cons: The color options may look different than what the product pictures show. Some users mentioned it is hard to get things in and out of the pocket. Bottom Line: For the price, this running belt functions very well with adequate storage. Pros: Extra large bag that will comfortably fit a medium size mat and other training items. 100% waterproof nylon canvas. Cons: This belt does not hold as much as other belts due to the slimmer design. Bottom Line: For the price you can go wrong. Just don't expect premium quality that lasts several years of regular use. 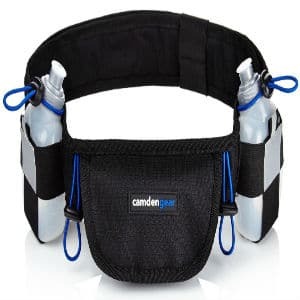 Pros: The Camden Gear Running Belt offers both storage for you things and allows water bottles for hydration during your run. Cons: With the water bottles, the Camden Gear Belt is best used for long runs. For shorter runs (under 1 hour) other non-hydration running belts will be a better choice. Bottom Line: Great for long runs and for those who need to have water with them during their runs. 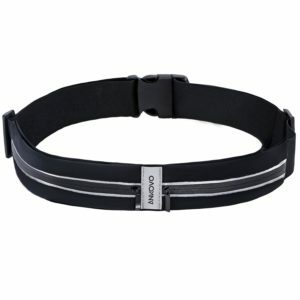 Pros: ANKOVO is a solid running belt that is good for short to medium distance runs. 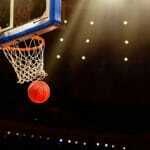 Stays in place well. Cons: The availability of this belt is variable, so please check the Amazon page to see if it is in stock. Bottom Line: The ANKOVO is good, but not great. Look to another option if you want a premium belt. If you want affordability and good quality for your runs then the ANKOVO is a good choice. Flipbelt’s motto is “minimal design, maximum comfort”, and their product stands up to their claim. Made of a polyester/Lycra mix, it’s soft and stretchy to move with you as you run, and it wicks moisture and dries fast so you can comfortably wear it every time you go running. Plus, it’s machine washable, so when it’s time to wash it, just throw it in the washing machine with the rest of your workout clothes. Unlike some running belts, Flipbelt doesn’t have a fastener to open and close it when you put it on or take it off. Instead, it has a simple, tubular design that you just slip on over your running shorts or tights. This feature is a plus for runners who’ve had issues with fasteners and buckles chafing or pinching, especially on longer runs. 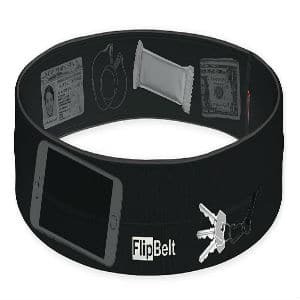 The Flipbelt offers four openings at different points on the belt so that you can distribute your keys, phone, energy gels, earbuds, and anything else you carry with you evenly around the belt and/or at the best places for your comfort while you run. With a cost around $25, Flipbelt isn’t the least expensive running belt on the market. While it does cost a bit more than some other belts, though, it’s also incredibly convenient and comfortable. If you need to safely carry a few items comfortably without any bounce, it’s a great option. The Flipbelt really does its job when it comes to avoiding bounce or chafing. Users had no complaints about jostling or shifting as they ran, even on longer runs where just about any kind of fabric can start to chafe or move around. We also liked that the Flipbelt is compatible with almost any smartphone, including the iPhone 6+ and the Samsung Note. If you’re between sizes or toward the upper end of one size, you might want to go up a size, though, as the belts do tend to run a bit small. Also, the Flipbelt is water resistant but not waterproof. If you’re headed out for a rainy day run, you might want to leave your phone behind instead of trusting the Flipbelt to keep it dry. The SNHNY running belt looks a lot like a high-performance fanny pack. It has a single pouch that’s 100% waterproof, so you can keep your phone and anything else you carry with you completely dry, even when you get caught in a downpour. The polyester-Lycra blend is durable, stretchy, and comfortable, and the size is adjustable, as well, so you can create the perfect fit. The plastic buckle sits flat, which a few runners mentioned they found it to be instrusive. At around $10, the SNHNY Running Belt is affordable for just about anyone. With the ability to carry your phone with you without fear of it getting waterlogged, the SNHNY running belt is easily one of the best deals for a running belt. After taking it out for test runs under a number of circumstances, we can tell you that the SNHNY running belt performs as advertised. It has little to no bounce, as the stretchy belt holds the pouch against you as you run, and it keeps electronics and anything else you put in the pouch dry and clean. That said, if you’re making last-minute changes to your playlist or starting your fitness tracker at the start of a race, expect to do some fiddling to get your phone inside the pouch and safely zipped away. If you want a belt that doesn’t require you to do any fiddling or manipulating to get your phone put away, this might not be the one for you. Also, if you have a larger phone, like an iPhone 6+, you might have trouble fitting anything else in the pouch with it. The Kamor running belt has two zippered pockets that open in the front and a buckle at the back. It’s highly water resistant, so it will keep your phone and other items dry, whether you’re out on a hot, sweaty run or you get stuck in a rainstorm. 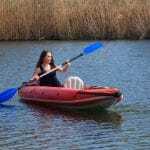 And it can be adjusted to fit waist sizes between 27 inches and 39 inches. The right pocket is just under seven inches long, and the left pocket is just over eight inches long, so you’ll have room for almost any smartphone, as well as keys, ID, energy gels or bars, and/or any other small items you need to carry with you. As a bonus, there are two 3M reflective strips along the front pockets, ad an element of safety and visibility to your running gear, as well. The manufacturer recommends hand washing and air drying the Kamor running belt, as this will protect its strong elastic and keep your belt in like-new shape for as long as you own it. 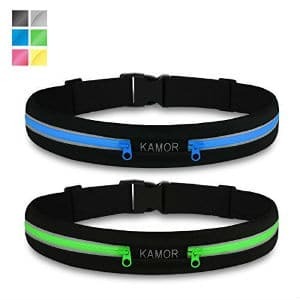 At around $15, the Kamor running belt is one of the more cost effective running belts on the market today. While it’s not the most deeply discounted belt on our list, its price point is very reasonable for a belt that offers two large pockets and rain protection, as well as reflective material so that drivers, cyclists, and other runners can see you coming. While it isn’t waterproof, the Kamor running belt is water resistant enough to avoid sweating through, and it had no issues with even heavy rain. 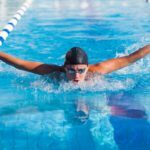 We wouldn’t recommend going for a swim with this running belt, but if you get caught in the rain you won’t have to worry about getting home to find out that your phone is bricked from water damage. The wide range of adjustability is both a pro and a con for the Kamor running belt. It makes it possible for most runners to find a good belt without worrying about what size to buy. However, at the same time, if you’re at the upper or lower end of the range for this belt, you might have some bounce issues or feel some pinching from the elastic waistband. If you aren’t sure whether or not you fall within the size range for this belt, you might want to consider something else. 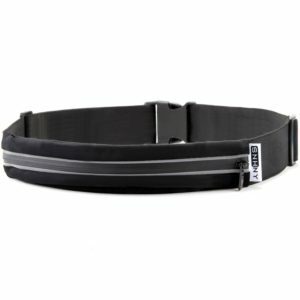 Camden Gear has created an adjustable running belt that doesn’t have a plastic buckle or fastener. 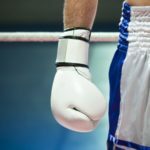 Instead, they use high performance Velcro so that you can easily and quickly adjust the belt to fit you perfectly with no punching and no bulky buckle to rub against your skin and cause chafing. The belt is adjustable up to a 47-inch waist, and when adjusted properly has no bounce at all. The 6.5-inch front pouch has room for your cell phone, wallet, keys, and/or other items you might need, and you don’t have to worry about having room for energy gels or sports drinks. There are two holders for gels or drinks, one on either side of the front pouch, and they’re placed so that they won’t interfere with your stride or chafe against you as you run. Plus, they’re right there whenever you need to reach them, so you won’t have to break stride to get the nutrition or hydration you need. At about $20, the Camden Gear Running Belt is in the same price range as some of the other belts we’ve reviewed here. At this discounted price, the Camden Gear running belt is one of the best deals you can find, especially if you’re a distance runner or a triathlete. We were curious about how well the Velcro strap would hold up against sweat, rain, and general wear and tear – and we’re happy to report that it holds up perfectly. We had no issues with the belt slipping or letting go, even during hard sprints in unfavorable weather. The pouch is easily accessible with a flip-up top flap, so getting to your phone is easy, whether you want to check your distance, take a call, or change the song on your playlist. It does fit larger phones, but if you have a bigger phone that’s in a large case, like an Otterbox, you’ll be looking at a fairly tight fit, and you might have to just go with your ID and a credit card instead of taking your whole wallet with you. Unlike the other belts we’ve reviewed here, the Camden Gear running belt is a hydration belt as well as a belt to carry keys and a phone. The two included bottles are easily accessible, and they are the perfect size to carry along some extra nutrition and electrolytes without weighing you down or creating a lot of bounce or sloshing liquids. The ANKOVO running has two waterproof and sweat-proof zippered pockets opening along its front and a large, flat plastic buckle in the back. The waistband is fully adjustable and made of strong elastic that will hold it in place perfectly so that you experience no bounce when you’re running. The two pockets are perfect for keeping electronics and other items separate. 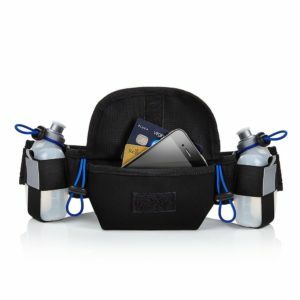 You could carry your smartphone, ID, and keys on one side and your energy gels on the other, or you could even carry two phones with you if you want to stay in touch with work and friends while you’re out on a long run. The current price of the ANKOVO Running Belt is around the $10 mark, making it the most cost-effective running belt we’ve reviewed here. If you’re looking for something to keep your phone and a couple of other items while you run, and you don’t want to break the bank, the ANKOVO running belt might be your best bet. The ANKOVO running belt does a great job of keeping your belongings safe during a rainy or sweaty run, but if you need to reach your phone without dumping everything else out of its pocket, you might want to consider a different belt. We found that this problem can be solved by carrying your phone alone in one pocket and carrying everything else in the other. However, that’s not the best solution if you want to keep your energy gels or bars separate from your wallet or ID. Altogether, though, the ANKOVO belt looks and feels almost exactly like the KAMOR running belt but can be purchased at about half the price. So, if this is the kind of belt you’ve been looking for, this could be the one for you. All of the top five running belts that we reviewed performed great, and almost any runner would be happy with any of them. However, one really stood out from the rest. At its current discounted price, the Camden Gear running belt is virtually a steal. With bottles included to carry some extra hydration and/or nutrition, it solves the problem of how you’ll carry water on a longer run without holding a bottle or wearing a heavy and cumbersome hydration pack. Not only that, but of all of the running belts that we tested and reviewed, the Camden Gear had the most accessible pouch. The others all did a pretty good job of keeping your items safe and dry, but almost all of them had accessibility issues. And you don’t want to run the risk of dropping your ID or credit card when you’re trying to fish out your phone without breaking stride. Plus, if you’re just on a short run, you can leave the bottles behind and only carry the things you need. Of course, though we think the Camden Gear is the best of the best, that doesn’t mean it’s the right belt for you. If you’re looking for a belt that will work well for you, you’ll want to consider your needs and the kind of running that you do. Most belts are adjustable and have some form of closure, whether it’s a buckle, a Velcro strap, or some other fastener. Consider where the buckle on a running belt will sit and whether or not this is likely to cause chafing or other irritation as you run. If you’re not overly excited about having a buckle, look into your options for a sized belt that’s not adjustable like the Flipbelt or one that adjusts with a Velcro strap instead. Buying the most expensive belt on the market isn’t going to guarantee that you’ll get the belt you need. Consider how much you’re willing to spend, how often you’re going to use the belt, and how much other belts on the market cost as you make your decision. Finally, the best running belt for you will be the one that does everything you need. If you live in a very rainy climate, you’ll want one that’s truly waterproof. If you’re on call for work a lot, you’ll need one that allows you to get to your phone fast. If you have sensitive skin, you’ll want to make sure that you opt for one that really doesn’t chafe and stays put when you put it on over your shorts or tights. Consider these three factors as you choose the best running belt for you. And check out one of these five if you want to get one of the best running belts on the market at an affordable price.